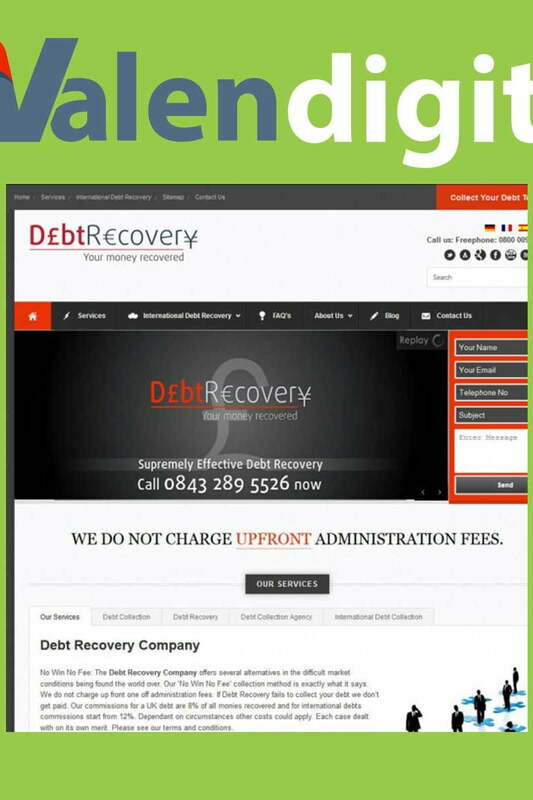 The Debt Recovery website provides a ‘No Win No fee’ debt recovery company offering several options to collecting outstanding debts. As a B2B business they charge NO upfront fees and have very low commission rates on successful recovery of debts owed to you. With Debt Recovery you will find a fast and effective debt recovery service and a team of professionals committed to helping you with your debt collection. The site provides a B2B service for collecting debts in the UK and worldwide.